The image of a lone hero, marked by a violent past and bound by honor, has exerted an endless fascination on film audiences the world over, but nowhere more than in Japan, where Samurai films have gained legions of passionate followers. 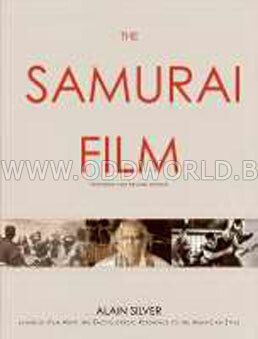 Popularized and perfected by one of the greatest auteurs in the history of cinema, Akira Kurosawa, the themes of the Samurai film have consistently crossed over into western films, with blockbuster success in recent years of Crouching Tiger, Hidden Dragon and The Last Samurai. Some notable films American audiences hold dear are adaptations of Kurosawa films, among them The Magnificent Seven and A Fistful of Dollarseven Star Wars took inspiration from one of his films. Long regarded as one of the world's most astute film analysts, Alain Silver deconstructs the key aspects of this vital film genre, from its focus on violence and death as a means of understanding life (an aspect it shares to a great extent with its western counterpart) and the significance of swords and weaponry to key elements and motifs such as hara-kiri, rebellion and nostalgia for Japan's feudal past. 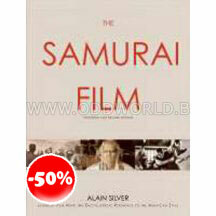 With comprehensive filmographies of the major directors and films, a survey of the history and myths of the Samurai, a glossary of Japanese terms, and extensively illustrated with more than 200 hundred photos, this revised and expanded edition of The Samurai Film is the ultimate resource for one of world cinema's most influential and compelling genres.